HT thinks the move is “allowing a major bilateral irritant with India to fester”. 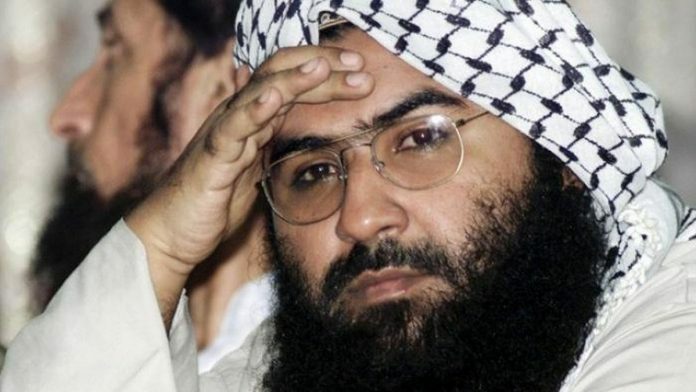 Express notes India had 13 co-sponsors, adding in its ‘Explained’ Box that the technical hold means “the proposal to put JeM chief Masood Azhar as a global terrorist now goes in deep freeze for the next six months, extendable for another three months”. In election news, there’s “AGP back in NDA fold” (Express). The rekindled alliance comes “Two months after severing ties with the BJP in the wake of widespread protests against the proposed Citizenship (Amendment) Bill, ” says the report. TOI chooses to ignore this for page 1. Instead, it reports on another possible alliance: “Congress leadership has decided to seek the opinion of its booth-level workers on whether it should tie up with Aam Aadmi Party in the capital” (“Tie-up with AAP? Cong dials 52k cadres for answer”). Express notes that the visit comes “a day after BSP chief Mayawati ruled out a tie-up with the Congress in any state”. China’s blocking the global terrorist tag to Masood Azhar is the top story, today. Bhaskar identifies four reasons why China repeatedly saves Masood: it has invested Rs 7 lakh crore in Pakistan, it keeps India busy dealing with such problems so that it doesn’t emerge as a power in South Asia, it seeks Pakistan’s support in its action against Muslims in China and India’s good relations with US and the Dalai Lama are viewed as anti China. Jagran highlights a video released by an American of Pakistani origin which claims that over 200 were killed by Indian airstrikes in Balakot. Rahul Gandhi’s Tamil Nadu trip takes the lead on front pages. While Dinamani reports his press conference in Chennai, The Hindu Tamil and Daily Thanthi favour his Nagercoil election rally. The Hindu Tamil in “If Congress comes to power, GST will be made simple – Rahul promises…” reports how Rahul and DMK chief MK Stalin flattered each other: Rahul said Stalin would become TN’s next CM, Stalin said in a few weeks Rahul will India’s PM. Dinamalar gives Rahul’s Tamil Nadu trip short shrift; instead, it reports the ADMK alliance with TMC (Tamil Maanila Congress)–“20-20! Alliance finalised in ADMK”. HT and Express comment on the impact of an economic slowdown. In “Will BJP pay for the slowdown?” HT writes that “a compound growth rate of GDP is 7.4 per cent’’ doesn’t bring “good news for the Government just before the elections’’. Also, GDP has been declining for three quarters and the latest Index of Industrial Production figures show growth output at 1.7 per cent. In addition, “farm incomes have faced a severe squeeze”, HT writes. Will these “factors hurt” BJP? That depends on how “the opposition takes up the issue”. Express in “Unhappy Numbers” adds that a Reserve Bank of India (RBI) study shows that for the “seventh successive year” there’s “a contraction in the private sector’s capital expenditure plans”. The economy, it writes, is “decelerating”. The Modi government has failed “to revive choked investments” and “missed opportunities” given that it enjoyed relatively low global oil prices, “when global economic growth rebounded”, it writes. Much of prime time was devoted to women. Discussions on 33 per cent seat reservation for women featured on India Today, CNN News 18 and NDTV 24×7. It saw unusual agreement amongst politicians of different parties —largely women spokespersons — that “50 per cent (of population) was overlooked for too long…gone are the days of tokenism” (Shaina NC, Bharatiya Janata Party, NDTV). Some channels discussed the UNSC vote on Masood — before the vote. News X provided more proof of Balakot airstrikes — the latest from Israel’s intelligence agency, Mossad. The anchor said, Mossad claimed “about 273 died” in the attack. Republic TV anchor Arnab Goswami, clearly motivated by Modi’s tweet asking Republic TV to promote voting, started a #VoteForIndia campaign. Meanwhile, CNN News 18’s Bhupendra Chaubey was living in the past: he compared former Prime Minister Dr Manmohan Singh and Prime Minister Narendra Modi as “communicators” in order to then compare Modi with Congress president Rahul Gandhi. His conclusion: Modi was “a master communicator”. India Today’s Rajdeep Sardesai presented a study in contrasts: he hosted Sujay Vikhe Patil who had left Congress to join BJP in Maharashtra, and Hardik Patel who has joined Congress in Gujarat. Asked if he switched sides because he “simply wanted a Lok Sabha ticket”, Vikhe disingenuously admitted he had been told he will “get it”. Congress had not given him a ticket. Vikhe asked a counter question: what were his “demerits”? He was the most educated candidate, “a neurosurgeon”. He was impressed by Modi’s Balakot response, he said, and believed he deserved a “second chance”. Mirror Now anchor Faye D’Souza was more concerned about the killing of Ashbab — an eyewitness to the 2013 Muzaffarnagar riots Tuesday. When former police officer K.L. Gupta criticised attempts to pin the blame on the police, D’Souza asked lawyer Aniket Nigam, why the case had been pending for six years when eyewitnesses had identified the alleged culprits. “D-2” was Nigam’s reply: the defense did all it could to “divert, detract” the proceedings.